Breakfast on my plate, great. 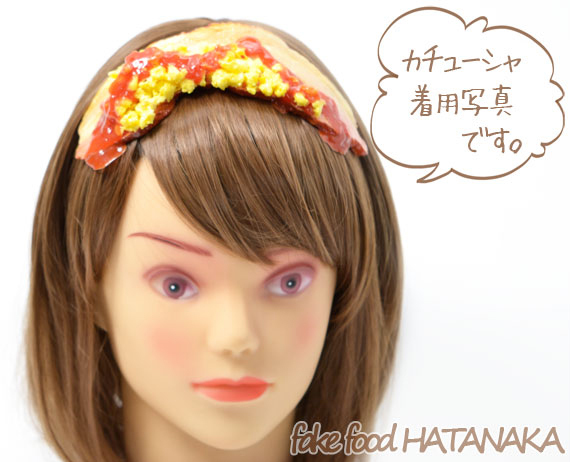 Breakfast in my hair? Sounds like a bad morning with my two year old. Not according to one Japanese company. 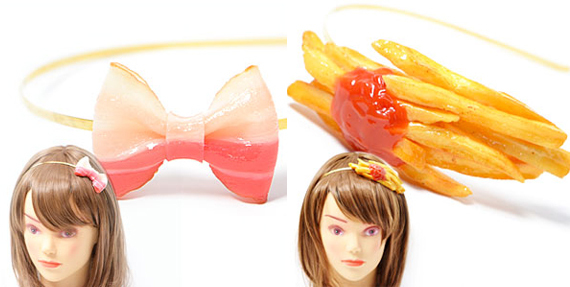 Hatanaka has a line of Fake Food Accessories that includes jewelry and accessories made to look like everything from pancakes and French fries to vegetables and fruits. And of course, there’s also bacon, because what would any food-inspired line be without a side of bacon? 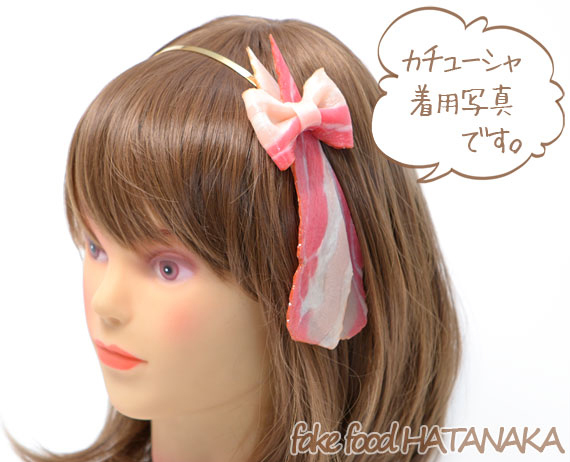 The headbands are especially unique, as the jewelry has definitely been done before, but bacon and scrambled eggs on a headband takes the trend to a whole new level of bizarre.